Home/Announcements/Website Redesign and New Services Coming Soon! We are excited to announce our redesigned website for use. Our main goal for our redesign was to make it easier for you to use all of our great products and services. We have a new product ordering page to make it even easier for you to purchase the products that you need! We now also offer new discount pricing for customers who purchase packages in 3 or 6 month options. 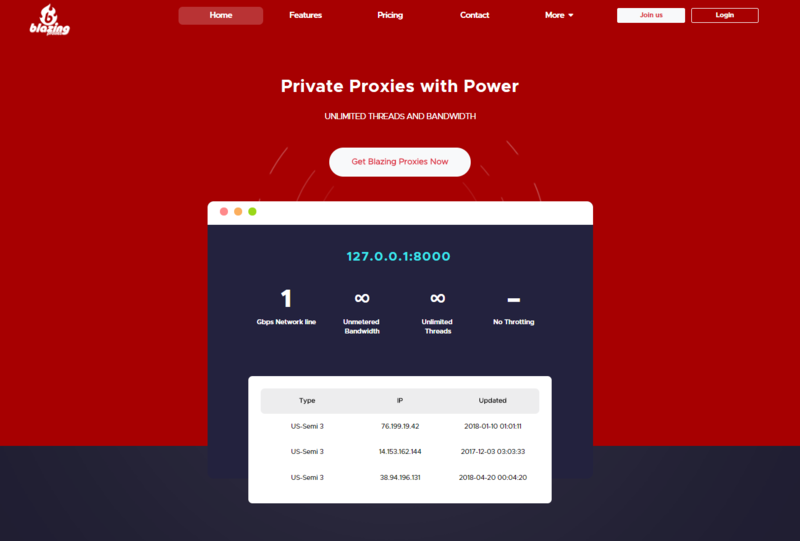 We are also in the process of revising and updating our proxy dashboard user interface to create a better, more streamlined experience to make it easier for you to manage all of your products and services. Our website redesign is just the first of many new developments that you will begin to see at Blazing SEO. Let’s take a quick look at where we are going in order to best serve you. We now own servers and IP addresses located in Los Angeles, New York, Chicago and Dallas to provide the quickest connection speeds for any of your needs. Our fully owned network allows for increased subnet diversity and grants you access to clean IPs for any use case. Through our partnership with a special ISP, we are able to get new subnets and ASNs as often as we need. Do not hesitate to reach out to us to ask about our customized solutions. Through a partnership with Scraping Robot, we are pleased to add scraping services to our product line. We will be able to perform a number of scraping services including; search engine, travel websites, ecommerce websites, and more. The most prevalent feature: Live Migration. Unlike the guys over at Amazon or DigitalOcean, if our host node goes offline it does NOT require any reboot of your server. This allows you to have your server always online, without ever being disrupted. Guaranteed to be cheaper than the competition with a 99.999% guaranteed uptime. By blazingseo|2018-06-21T14:46:49+00:00June 21st, 2018|Announcements|Comments Off on Website Redesign and New Services Coming Soon!